Ever wanted to reach just a little bit further? oh-my-myo allows for the remote control of a robot arm via the Thalmic Labs Myo wireless control band. 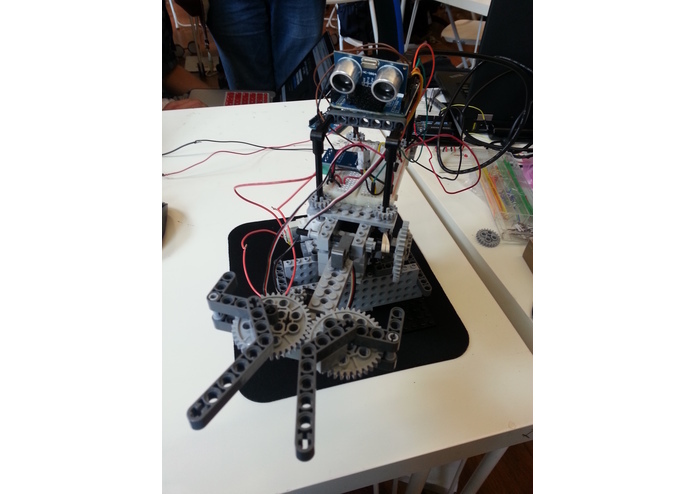 There is a robot arm, fashioned out of a combination of stepper motors, plastic gears, legos. The motors are controlled via an Arduino microcontroller. The controllers interface via serial COM with a laptop piping in the parsed output from the Myo c++ executable file, which was tweaked to provide accurate data on the position and location of the user's hand and their current gesture. The full source code for this project is available here.